Every Indoor Gardener with a pet should have the numbers of their local poison control centers handy. Find it through the worldwide links below. Hopefully you'll never need it, but if you do, you want it in a place where you can retrieve it within seconds. At least once or twice a year call the center to be sure the number's still accurate and up-to-date. Besides certain plants containing toxins, houseplants can harbor poisonous chemicals from fertilizer or insecticide sprays on the leaves, or from soil additives. Even the best-behaved pets tend to get into things they shouldn't. Pets usually won't chew on houseplants unless something's already bothering them, so after handling the plant problem, talk to your vet about their overall health. Call 911 or your local emergency number first and at once if there is choking or if you suspect blockage of the throat, mouth, or air passages. Almost all cases of plant poisoning can be treated at home, so don't panic. Make your call, follow instructions, and remember that few "poison" plants are "lethal." You must take action immediately, but you can stay calm while you do so. The most up-to-date list I could find for countries worldwide is at the World Health Organization. 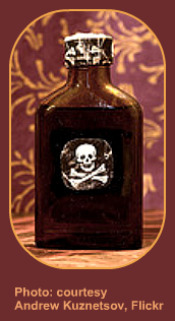 In the United States, call 1-800-222-1222 for a suspected poison emergency. If your pet has ingested a toxic houseplant, the ASPCA has a 24/7 number: 1-888-426-4435. There may be consultation fee of $65 (fee may change, so ask). You can obtain more information from them at the ASPCA website.